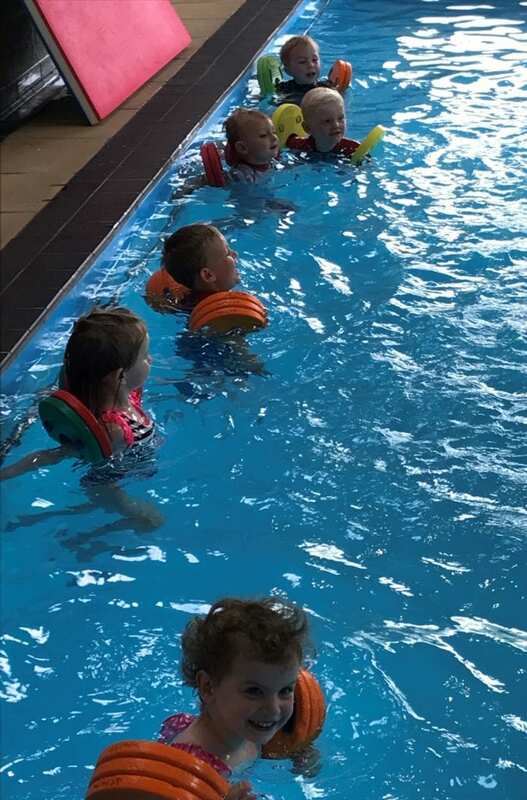 Entering a swimming pool without you by their side is a big step for your toddler, but here at Wirksworth, one smile from our friendly instructors, who work in the water, and your little star will be splashing away independently in no time. Our Toddler learn to swim lessons are for pre-school children over 3 years or by invitation from our Wriggler infant classes and the lessons are designed as an introduction to the teaching environment without parental participation. We work on building confidence through play and encouraging independent movement. The lessons include games and songs, but also aim to ‘waterproof’ your child by teaching them how to scramble to safety if they should fall into water. Toddlers learning to swim at Wirksworth follow our Toddler learn to swim programme. There are 6 awards your child can work towards culminating in a ten metre front paddle. Your child will receive a mini wall chart to follow their progress and on completion, thanks to local businesses, a reward: currently a free play session at The Play Mill, Bonsall. Water safety question – Provide the answer to the question: Is it safe to go swimming without adult supervision? "Josh was really nervous when he first moved up into toddler class and it took time to settle him, but with the fabulous instructors knowledge and skills, he is now coming on leaps and bounds. It's an amazing pool with fantastic staff. Thank you." "I'm not scared of water anymore and I can nearly swim now. I'm a big girl now!"